This can be a real person originating from any point in history up until now, or it can be a mythical character. In the latter case, their body structure and proportions must be close to that of a real person. Final result must consist of a textured mesh, rigged and posed to produce presentation renders. Rendered images can be produced either in 3ds max, using real-time viewport shaders, or standalone programs such as Marmoset Toolbag. During planning stage I went through quite a bit of information on prominent historical and mythical female figures of the cultures specified by the brief. However, most of them didn’t have enough visual reference, or they weren’t that impressive. 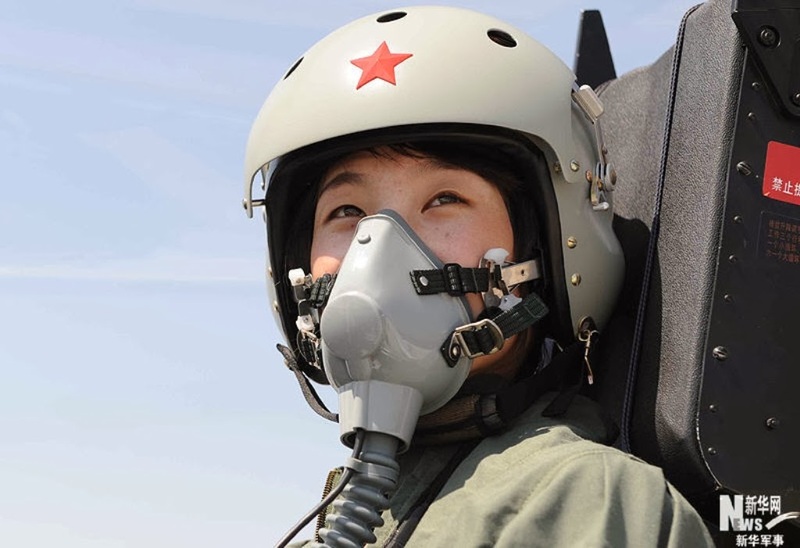 In the end I stumbled upon some interesting photos of female pilots of Chinese Air Force. Since the brief mentioned that the character can be modern, and pilot is technically a warrior, I decided to go for it. After all, it is much more original than another Asian lady in armor, Indian goddess or African tribeswoman. I’ve gathered some pictures from various websites that covered jet pilots getting new suits several years ago. 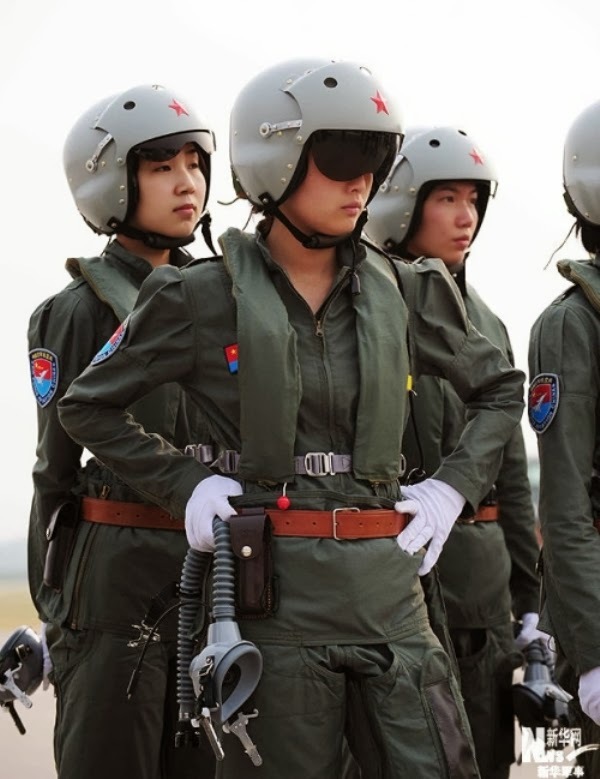 Interestingly enough, it’s easier to find these photos of female pilots than male pilots of Chinese Air Force. In addition, I’ve gathered some separate images of anti-g suits and helmets that MiG jet pilots wear in order to better understand their structure. I decided to go with the workflow that I think works best for tight schedules. I started off with a drawing of female proportions to use as a reference in the scene. Some additional images off the internet besides the initial pilot photos were used to get Asian proportions more accurately. Her proportions were intentionally made to be not overly feminine since she, after all, has to be quite a strong to withstand physical challenges of fast acceleration during flight. The scene was set up to use centimeters as a primary measurement unit. Height of the character was set to be roughly 160cm, an average height for Chinese women. Basic biped was modelled to fit the reference. Arms positioned at ~30°, legs slightly apart, some initial joint and topology loops. To get the topology right, I mainly looked at the pages on Polycount wiki throughout the project. The main idea I’ve got from the limb topology page is that minimum of two loops are required for proper deformation of the joint. Preferably with a slightly wider gap between the two on the inner part of the bend. This page also has some amazing reference on hand topology. My initial attempts weren’t very close to real life, both in positioning of the fingers and topology, but I think I got it right in the end. The general character topology page was quite useful as a reference for breasts, abdomen and behind. I didn’t know exactly how to position the loops properly on those parts of the body, so it helped me out. Another thing that I used as a proportion reference is an in-game model of Faith from Mirror’s Edge. She’s a small, physically strong Asian lady in modern clothing, so it was a perfect fit. This model helped me realize that since I drew the proportion reference for an undressed person, my biped is too flat. I needed to make the hips slightly wider, and the buttocks more round. Chest area had to be made slightly bigger around the armpits to make for the cloth that is dragged up by the arms. Breasts had to be readjusted slightly. I also added a small bend to the arms to make for a more natural pose. A lot of fabric fold geometry was added as well. But the best thing about that in-game model is the facial topology. It is the best reference I could ask for. Luckily for me, most of the head is covered by the helmet, so I didn’t have to spend too many triangles on the scalp and hair. When I felt that the mesh is more or less everything I could do at the moment, I spaced individual parts apart, and gotten rid of symmetrical parts of the body. Then I exported the scene to Mudbox. I prefer Mudbox over ZBrush mainly because of the interface. It is much closer to a standard 3d modelling software and much less cluttered. Interface and general interaction in ZBrush seems to be designed by an alien to me. Another reason is that I simply do not need nor do I know how to use all the functionality of ZBrush. In any case, this allowed me to sculpt most of the medium to large details. Clothing folding was observed on reference photos and in real life with the actual clothes I wear. However, I think that they are still slightly off in most places. Certain bits like the boot leather and helmet lining were sculpted separately a bit later into production. Several things in high-poly mesh were made entirely in 3ds max. Face, for instance, was just turbo-smoothed, and screws were placed on the helmet using the Graphite mesh paint tool. After importing the high-poly mesh back into 3ds Max, I still had 8 or so thousand triangles left in the budget of the low-poly. So I’ve spent them generously to smooth out the round bits that were too angular. This includes edges of the g-suit that stick out over the main pants, limb joints, clothing folds, but mainly the helmet and the face. That potato-shaped Asian nose has to have quite a lot of triangles to look smooth. I have to admit, however, that I realized later during the texturing stage that I’ve made several mistakes in the face topology, that cause some weird shading around the nose, on the jaw, and above the bridge of the nose. The budget was high enough to allow to model such details as holes on top of the helmet, or hooks for the chin strap, while normally they would be made with normal maps. After fully modeling the mesh, there is still almost a 1.5k triangles left. This is a pleasant change from the usual university projects that normally have budgets slightly higher than that of an iPad game. The model is pretty much symmetrical which allows for decent UV space reusability. Exceptions are the pocket on the right leg and the inflation hose attached to the right hip. Unfortunately, since the texture budget is very low, I had to reuse texture space for symmetrical parts. As a result attached bits have no folds around them, which is a pity. Unwrapping both parts of the pants separately would not help because the small folds would not be visible in the pixelated mess of a low res texture. Other than that, there are only some slight issues like folds being too obviously mirrored on the front and the back of the model. Normal maps and some shadow maps were baked in 3ds Max. For some reason the xNormal result was slightly pixelated. Unfortunately, only after the unwrapping and baking was done, I noticed that the suits are supposed to have zippers on their sleeves. But it was already too late to change the geometry and UVs, so I had to skip those. 5. Normal map edit and addition of image-based normals. Unfortunately, I did not manage to get small details into the sculpt, so they had to be generated from the height maps. Pretty much all the seams, some smaller folds, zippers, belt and pouch details, helmet hinge details - all were created this way using Knald. Original bake was not ideal as well, so it had to be edited manually. Some larger folds ended up pixelated because of the high poly being stretched in these places. There were some issues with how they baked out inside of the sleeve, so they had to be painted over. Mirroring seam issue had to be solved as well. Channel orientation was a bit of a hassle. 3ds max has this glitch when in the viewport it displays normal map with inverted green channel on a mirrored part, but render comes out fine. It is incredibly annoying to not see the proper result straight away. Also, 3ds max uses inverted green by default, while Marmoset uses normal green, so that is easy to forget sometimes. 3. Adjusting the colours, adding tonal variation. Working resolution of .psd files is double that of the end textures – 2048p for body and 1024p for the head. Since the final normal maps were created using a combination of rendering and height maps, ambient occlusion and other maps cannot be baked for those image-based bits. For this reason I used Knald to generate those maps from a normal map. In addition to that, certain photos were used as overlays to add to the texture. I’ve used a fabric texture (sourced from a piece of cotton fabric) for all the clothing, leather texture (sourced from a pair of leather gloves) for the belt and pouch. Backpack fabric texture (sourced from my backpack) was used for a chin strap and gray upper belt. All stitching textures were made by painting dotted lines and using a dark 1px semi-translucent stroke effect. Insignias (coat of arms?) were originally intended to be cropped out from the photos of the pilots, but the resolution was too low, so they had to be painted by hand. Head texture proved to be a bit of a problem. It is four times smaller than the body texture (understandably, but quite often it is the other way around), so after laying out the UVs, turned out that the face is too low res. I think there is only a pixel or so used for the lips. Thinking about it now, I probably should have moved the helmet to the body texture and devote the whole texture space to the face to make the texture resolution more even across the model. In any case, diffuse texture, again, was a combination of pre-rendered maps, and plain colours. To create the face itself, however, I used various samples of skin cropped from the photos of my sister. They were overlaid on top of the plain colour, stitched together and painted over with a brush. To finish it off, I used a shadow map overlay. Admittedly, I did not do the best job of it, but luckily it is mostly covered by the goggles anyway. Hair alphas were painted this time. If a larger texture resolution was available, I would render the strands out either using external software or standard 3ds Max functionality. But in this case it would not matter, since it all blends together in a monotonous mess. Specular maps were created by copying the diffuse group and layer structure, getting rid of hue, and then tweaking the brightness level of each individual plain colour layer. Overlays were getting care of most lightness variations, however some bits required manual tweaking – face, leather boots and belt, metal bits, etc. This is the part I’m not very good at. I think it’s a combination of slightly incorrect joint loops and my inability to weight vertices properly. This rig uses a standard biped with one additional bone in the head to control the goggle up and down movement. Also, this time I decided to rig all fingers individually instead of making a mitten hand. This was a nightmare, but I think it all turned up well in the end. One of the issues with finger bones is that the rotation axis is not locked as it is with all other bones, so during positioning they always twisted unnaturally. The brief specified that use of standalone rendering software like Marmoset Toolbag is allowed. I never used this software before, so I wanted to give it a go. Also, 3ds max doesn’t not process specularity in a way that most game engines do, so the result is a bit disappointing. Real time shaders such as Xoliul have their own issues I’d rather not deal with after spending previous project battling with them. The first problem with Marmoset is that it does not support material IDs for a solid mesh. 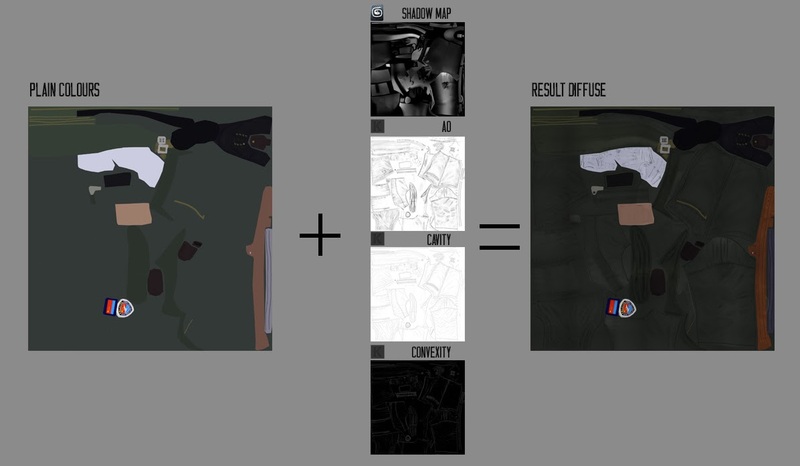 Multiple materials can be used in a scene, but they have to be applied to individual chunks of a model that is separated into multiple meshes. Because if that I had to go back and export the .fbx again with head and body as separate objects. Second issue popped out during tweaking the specular parameters of the materials. Turns out the specular sharpness, intensity and Fresnel don’t work well on the material as a whole. So I had to go back to 3ds Max again, and separate clothing, plastic, metal, leather and skin into their own objects so that the materials could be adjusted for them individually. A very small issue that was mentioned above was normal map green channel orientation, solved easily by checking a tick box. A pedestal was modelled very quickly to give the character a ground to stand on. Finally, I rendered out a series of full-height renders with goggles down and close up of the head with goggles up. Additional renders with no diffuse texture and wireframe were made as well.